When did you start riding? I started riding when I was 12 after nagging Mum and Dad for years. Your first horse/pony? My first horse was called Brandy and was a quite reluctant riding horse. He'd be like a scared mouse all the way to pony club then would act like a snoring donkey whilst at pony club. He also refused to go on any float. How long have you been doing dressage? 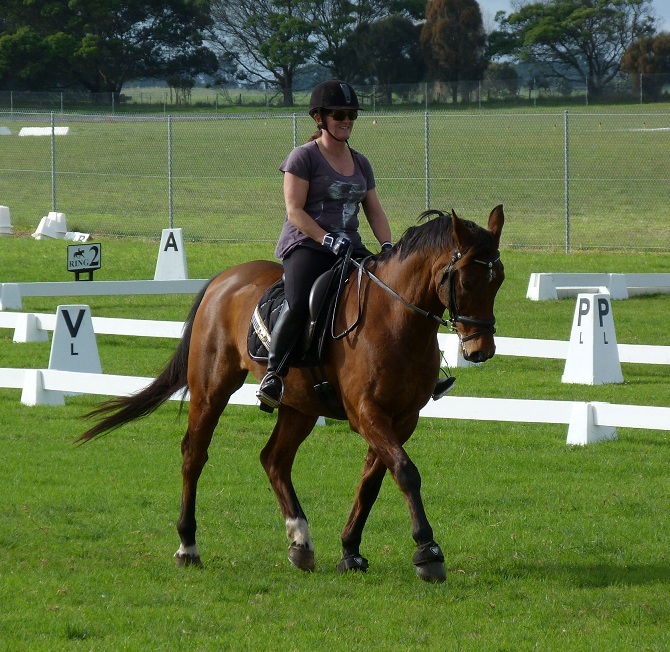 I got into dressage because you had to do it as part of eventing. 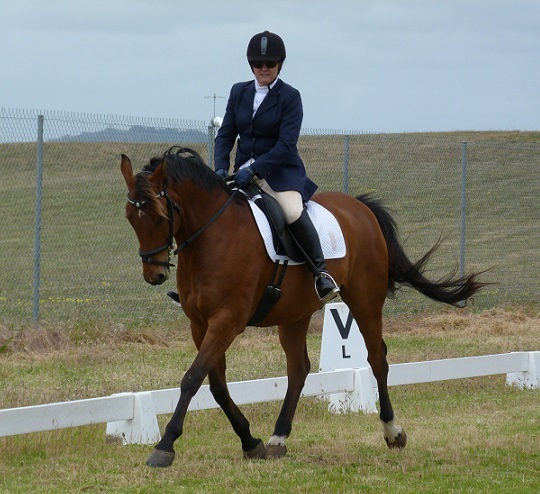 I always finished last or second last after the dressage, needless to say I wanted to get better! How many horses do you have? 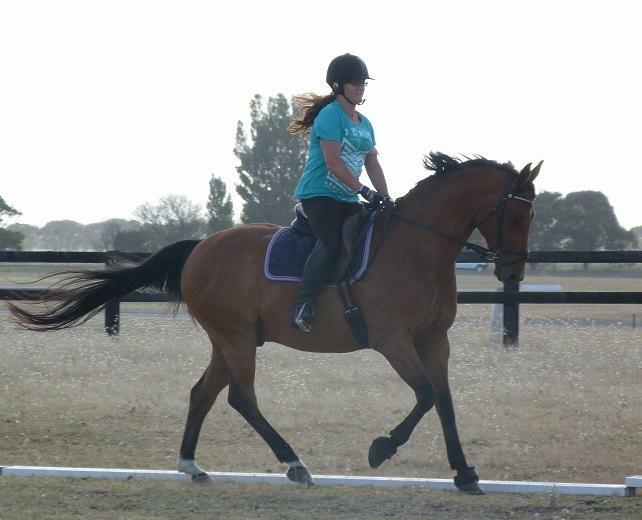 I have two horses - my semiretired 26 yo Ankara who I've had for 24 years and Spighi (Kinnordy Respighi) who is a 15.2hh 12yo gedling and I've had him for a year, he has a solid dressage background. He is by Riverdance out of Kinnordy Georgia. 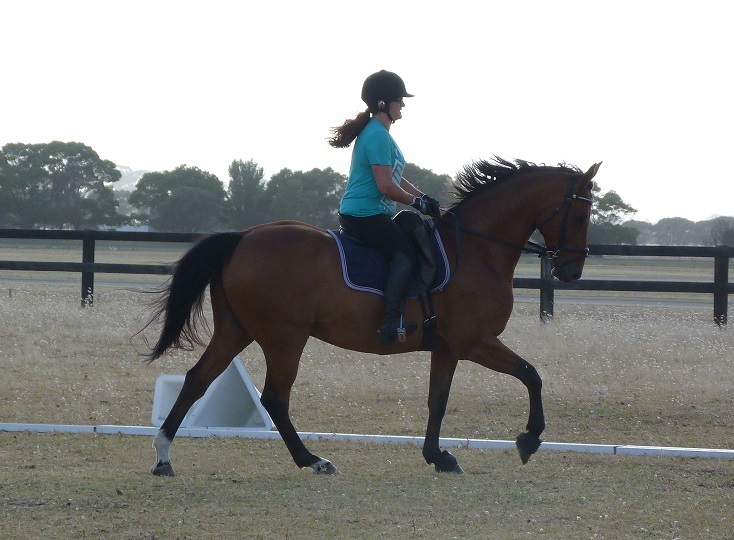 Your current dressage horse/s that you ride? Spighi is elementary level and Level 1 in HRCAV. Goals for the next year? Goal for the next year is to compete Medium on Spighi after mastering flying changes and to become EA official. If you could ride any horse, who would it be? I would love to ride Valegro. He looks super calm and responsive, and I don't think he's too massive for someone short like me! Other pets? We have Border Collies, chooks, sheep and cows. Prefer geldings, mares or stallions? I've had all but stallions and they're individuals. Mares tend to be self contained and geldings play more. Spighi is very cuddley. Handiest item in your tack room? It'd have to be my saddle, I have a Pessoa dressage saddle. Can’t live without? Can't live without riding at least 4 times a week. Your favourite riding tip? 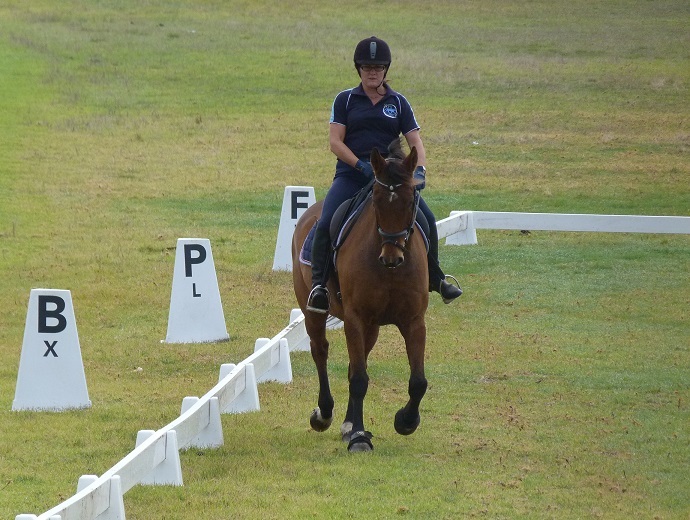 My favourite riding tip is think positive, you have to attack a dressage test and have belief you can do it. Your horse also looks for this as he needs you to be the leader.